Want an insider’s look at the top ten spa trends for 2011? Our expert and president Susie Ellis shares her insight on the spa industry in SpaFinder’s annual 2011 Spa Trend Report™. This global report, now in its eighth year, is based upon analyses from industry experts who visit hundreds of day and stay spas annually, along with interviews with top industry analysts, research across the spa, travel, and beauty industries, and data derived from SpaFinder’s relationships with more than 9,000 spas and salons around the globe. 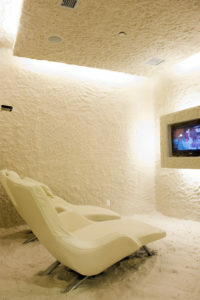 With everything from salt rooms to extreme beauty to deals gone wild, here’s what you need to know as 2011 approaches. Read the full trend report here.